Alston, NCD, Nov 27 – The first general meeting of members of the Board of Ministers has been scheduled for early December, the announcement of which comes at the same time that work on Sirocco’s internet services nears completion. The meeting, scheduled for the afternoon of Saturday, December 4th (which comes one month to the day since Foundation), will be the first official meeting of many members of the First Siroccan Government since Sirocco was formed on November 4th. The Times understands the event will not actually be held on Siroccan land, but somewhere roughly halfway between Ridgelow and Kent, JC. The guest list, which is still in a state of organisation, will include Premier Daniel Anderson, Minister of Culture Elizabeth Pountney and Minister of Defence Andrea Carrols. No response has been received from Ridgelow as to whether Vice-Premier Jesse Coles will attend. However, other non-Siroccan citizens will also be attending the meeting. An agreement has been made to supply the Times with photos of this historic event. In other news, the Ministries have been working hard to bring Sirocco to the internet. 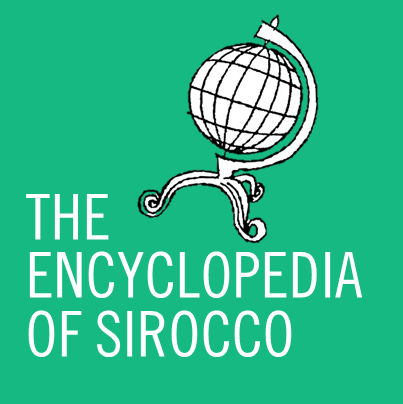 A Facebook group, entitled ‘Federal Commonwealth of Sirocco’ has been created to bring Sirocco to all Facebook-using micronationalists. The Government does wish to point out, though, that anyone who wishes to ‘like’ the page should click on the result with the Siroccan flag and not the old GDR page with the same name. In addition to this, an official website is nearing completion. The website, hosted by Wix (which also hosts the official websites of Zealandia and St.Charlie, to name but two), shall be the hub for all official enquiries about the Federal Commonwealth. An official launch date is scheduled for December 4th at latest.